Welcome to the shop. Each item is made using high quality materials and shipped to you with care. Hope you enjoy. Description. 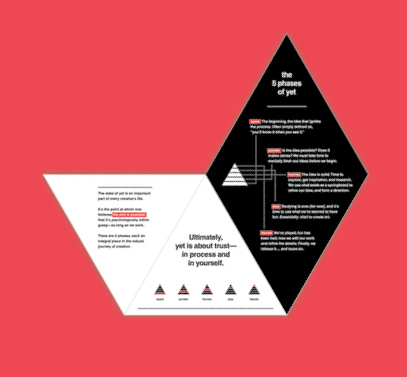 The Yet Pyramid is a reminder of the creative process. It sits on your desk and displays the fundamental building blocks of creating something from start to finish. Inside the Pyramid is further explanation of the State of Yet. Thought process. 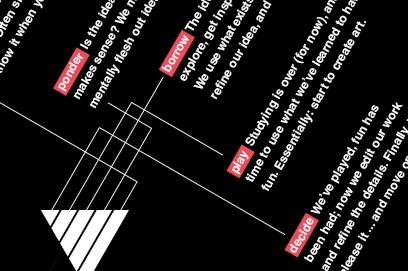 The state of yet is an important part of every creative’s life. It’s the point at which one believes the end is possible; that it’s psychologically within grasp. There are 5 phases, each an integral piece in the natural journey of creation. Each section is unique and necessary, slowly creating a foundation that allows and encourages ideas to bloom.